Chilli cheese toast is one of the quickest and yummiest recipe . 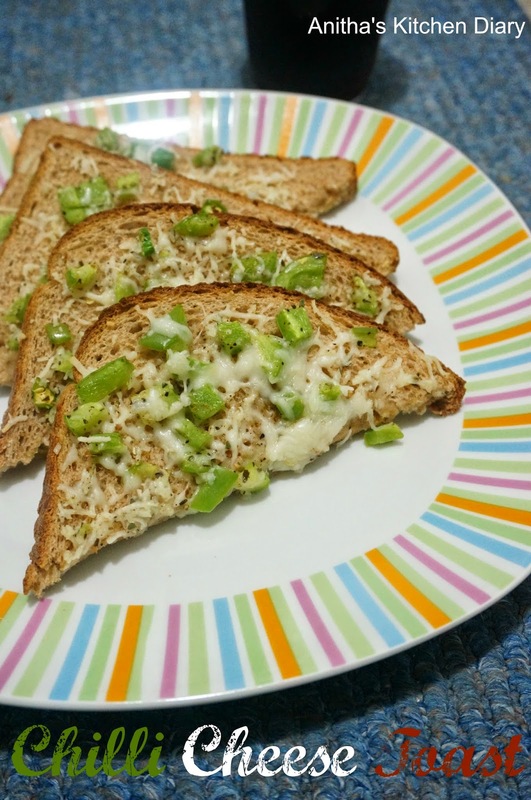 Needs very few ingredients and gets ready in no time.Cheese mixed with green chillies, and capsicum applied on brown bread slices and baked in oven will make great breakfast or snack recipe. I'm not able click good picture since i did it hurry and used less cheese. 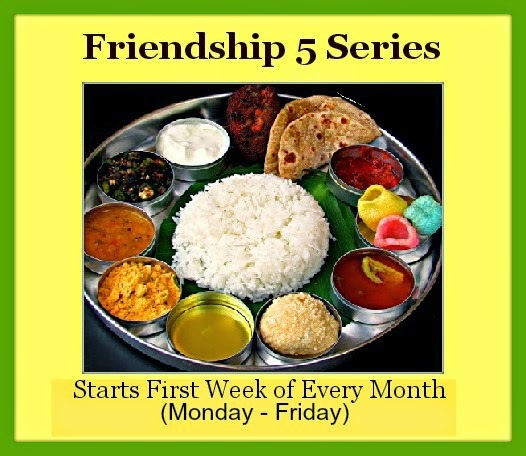 Sending this recipe to Friendship 5 series hosted by Savitha and Geetha as theme of Fast food for Kids. Chop the chilli and capsicum.In a bowl , mix cheese ,capsicum,chilli ,pepper powder and oregano. Preheat the oven to 300F. Sprinkle the cheese mixture into the bread slices. Sprinkle some oregano and bake it for 3 - 5 minutes or until cheese melts. Cut diagonally serve hot with sauce of your choice.